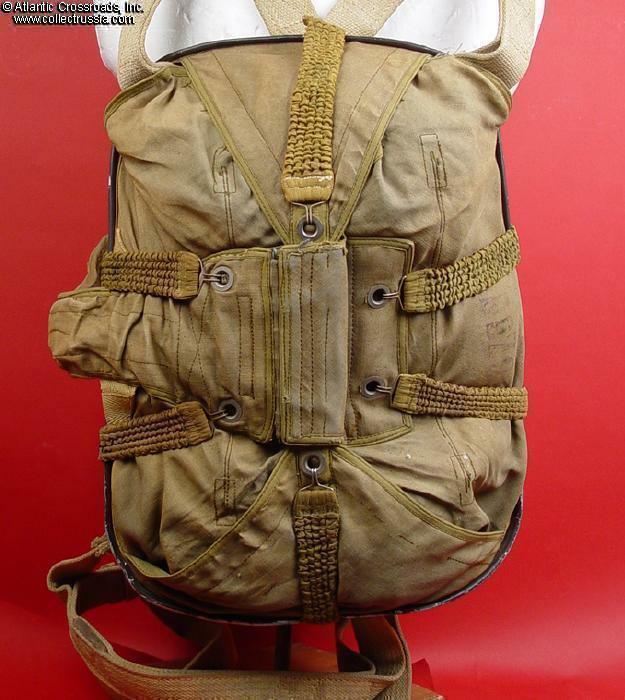 Luftwaffe parachute harness, backpack type as used by FW190 figher pilots and other aircrew. 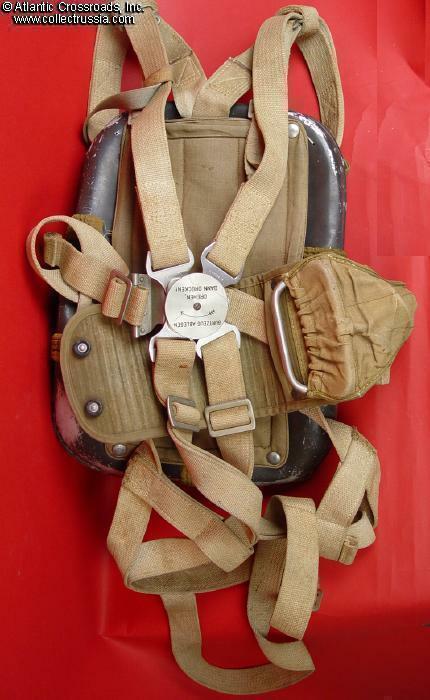 Luftwaffe parachute harness, backpack type as used by FW190 figher pilots and other aircrew. Pack is minus silk, and has no rigger booklet, otherwise complete and ready for display. Includes all six rare bungees (with FL marking) the back pad, and the D-ring rip cord. 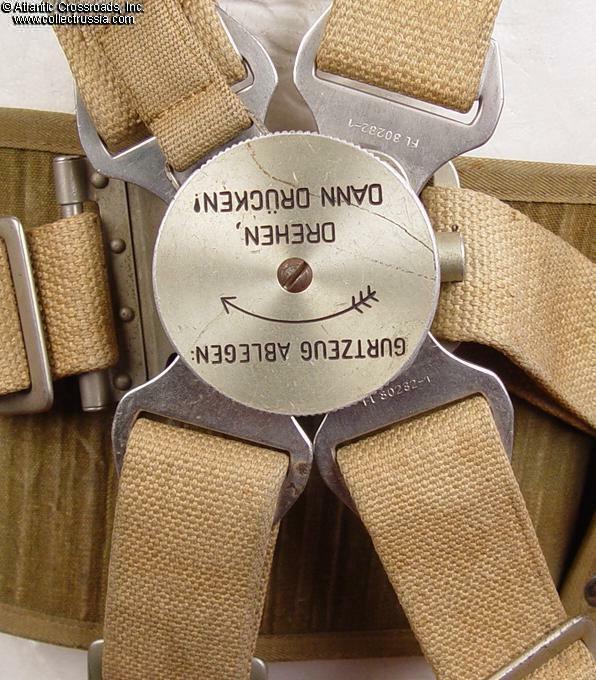 Also includes the snap-on accessory clip which blocks unwanted buckle release. These pieces are usually missing from surviving packs. Nicely marked buckle unit with FL#, clips also FL marked. 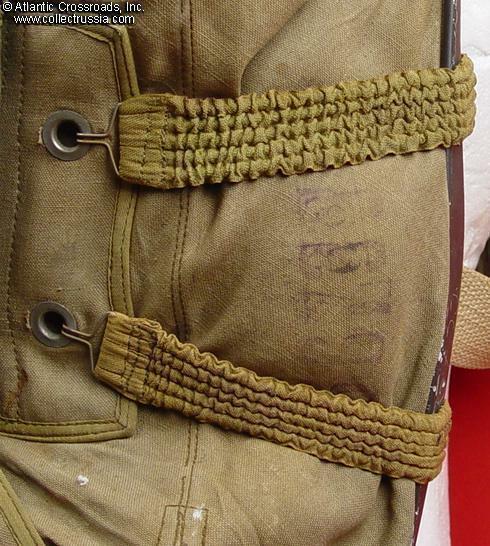 Pack shows serial number, other markings have faded to illegibility. Condition very good to excellent, showing normal cockpit wear and dusty from long-term storage. Aluminum back pan shows scuffing only, no dents or cracks. No repairs or stains. 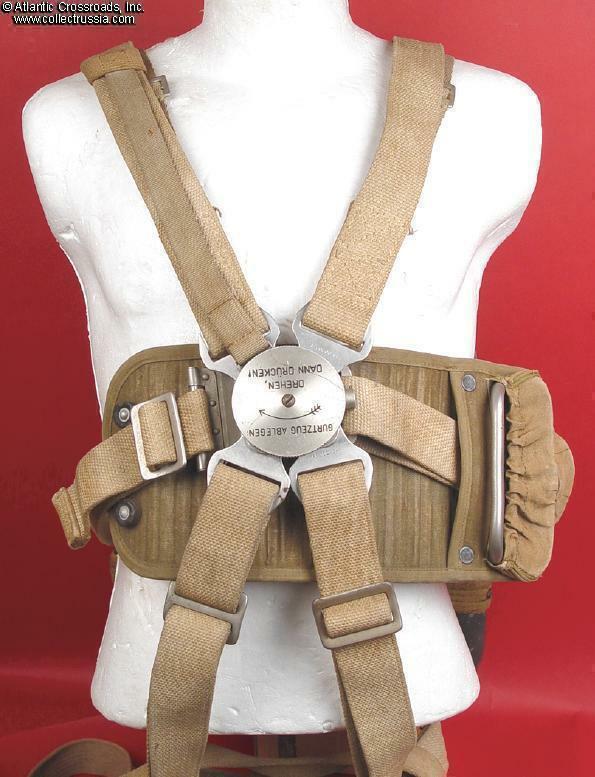 This parachute harness still accurately reflects the wartime appearance of the typical hard-worked Luftwaffe fighter pilot as he may have appeared in 1944. 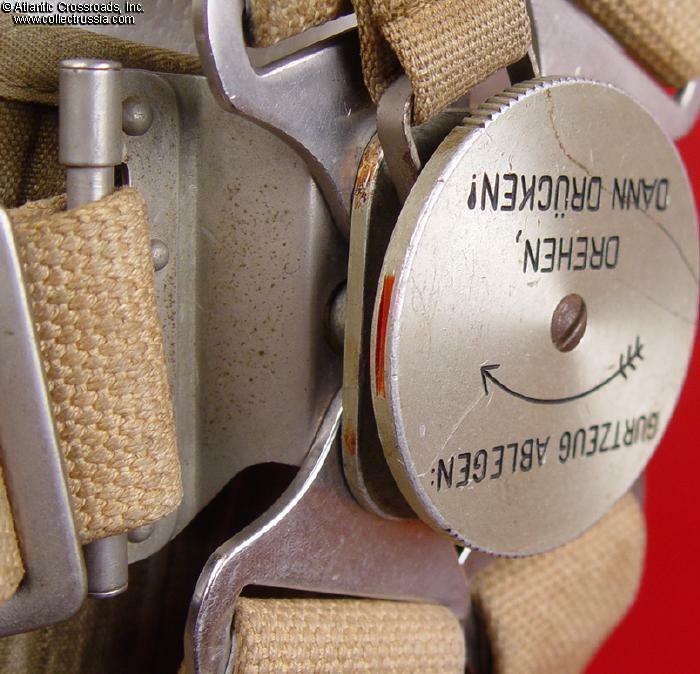 Buckle turns freely but pins are a bit sticky from not being used over the years, dried out factory grease will loosen up with use or careful application of fresh lubricant. Note we filled out the pack a bit with packing materials for the photograph. A more realistic presentation can be made with foam rubber cut to shape. Bungee cords are correct size and original to the pack, however, buyer will be wise to extend the hidden ends of the bungees with rubber bands, as I have done, to prevent damage by fully stretching the 60+ year old metal springs. This pack is an incredible piece of Luftwaffe aircrew kit for the advanced collection. An appropriately uniformed Luftwaffe pilot mannequin will be a true standout when completed with this rig.